If you have school-age kids, you are literally drowning in school papers right now. 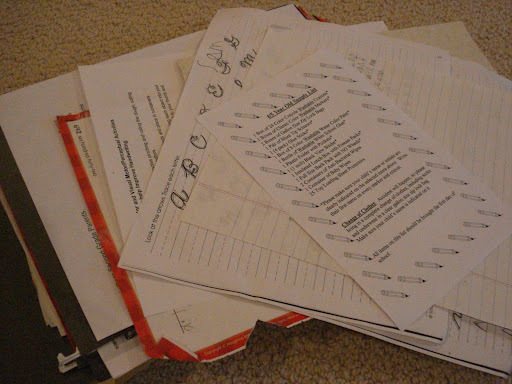 After April vacation each year, piles and piles of papers and leftover school supplies make their way home. My dining room table looks like a war zone. As much as I love all the projects, writing assignments, math sheets, etc., it’s just impossible to keep all of the schoolwork and keep it organized. 1-2 homework assignments in each subject. A good idea is to keep a homework page from the beginning of the year and another from the end of the year. This is a great way to see your child’s writing progress. Major projects. The word “major” being the operative word here. Consider this: anything created on cardstock, stapled together, or containing a cover page should be considered a “major” project. Keep these. 5-10 art projects. This number can vary based on the craft projects noted below. If you plan to just keep them in a folder, save only a few. If you plan to go digital, scan all of them in and then discard. I recommend also keeping a few of the 3-D, bulky art projects. When in doubt, throw it out! Seriously, it’s just paper! Your child has 12 long years of school; odds are they will do something else just as fabulous and you can keep that one! Daily schoolwork is usually always a “toss”. Busy work, word searches, 1st drafts of writing assignments, etc. Toss ‘em. Trust me. Everything else not listed above. Just.Do.It! Wanna hear a super secret tip? Do all of your tossing after the kids go to bed. You can thank me later for that one. Now that you have a plan, keep in mind that you will still have a ton of paper hanging around. 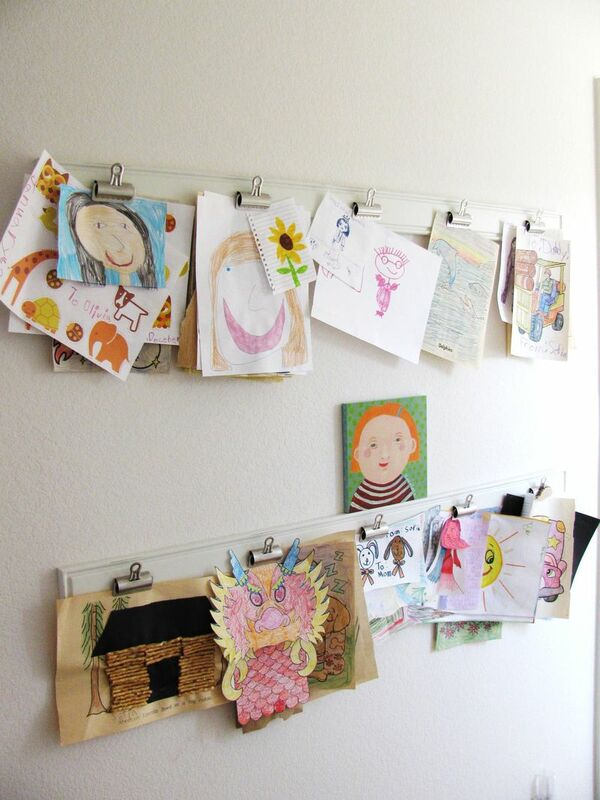 Multiple the paper by additional kids and say bye-bye to your dining room table until summer. There are a few fun solutions to the clutter. Scan it! Invest in a Memory Stick and scan everything that will fit into your scanner onto the memory stick. Take pictures of your kids holding the larger projects/papers and save the pictures to the memory stick. Frame it! Use their artwork as home décor in their bedroom, your hallway and even your living space. Punch it! Using a 3-hole puncher put the papers into a binder and the binders on a bookshelf for easy walks down memory lane. Bind it! Use your scanned images of their artwork and papers to create a photobook. File it! Create a filing system like you would with household bills to organize and file school papers by subject and year. Now, I know all of you are wondering what I do to keep my 3 kids’ school papers under wraps. Ask me that question next year when I take my own advice. Until then, you can find me under a pile of papers in my dining room all summer! 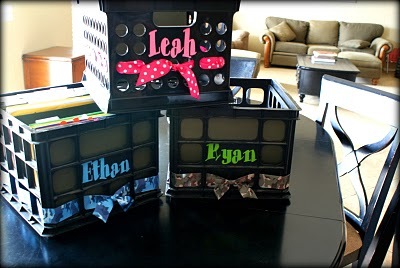 Love this advice….my son will be starting Kindergarten next year and this is a great way to keep both of us organized!!! Love love love this post. Thank you for sharing.